The Taylor Law Firm, PLLC, has a long history of helping Oklahoma City families with their legal problems. Our father-son team of attorneys has more than 50 years of combined legal experience. Prior to founding the firm, Floyd W. Taylor worked as general counsel for the Oklahoma Department of Transportation, a first assistant attorney general for the state and as a district court judge. This depth and breadth of expertise allows us to handle a wide range of matters. Our lawyers will try to settle your case through negotiation or mediation. When the situation requires, we have the experience to take a case to trial and through an appeal. Following a divorce, we can help you revise an estate plan to ensure accuracy. We can walk you through the probate process after the loss of a parent or help with a guardianship hearing for a child. 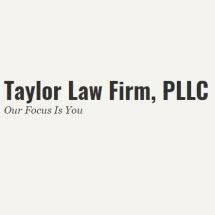 To find out how the Taylor Law Firm, PLLC, can help you with a legal need, call and schedule a free appointment to discuss your concerns. When your family's future is being decided, you deserve a law firm you can depend on. At Taylor Law Firm, P.L.L.C., we will work with you to ensure that your child's best interest is met. As a former judge and as a parent, our founder, attorney Floyd Taylor, knows the impact child support can have on your family's future. Our attorneys understand that when you are trapped in an abusive relationship, the way out can seem nearly impossible. At the Taylor Law Firm, P.L.L.C., we help both mothers and fathers address a range of thorny issues such as custody, visitation and child support rights.